Looking for a classic Christmas greeting card? You can’t go wrong with snowy, wintry scenes! Originally published at the turn of the century, this vintage Christmas illustration was drawn by commercial artist A. Hall and features a classic winter scene decorated with festive holly. You can also find this image in the public domain collection at the New York Public Library. 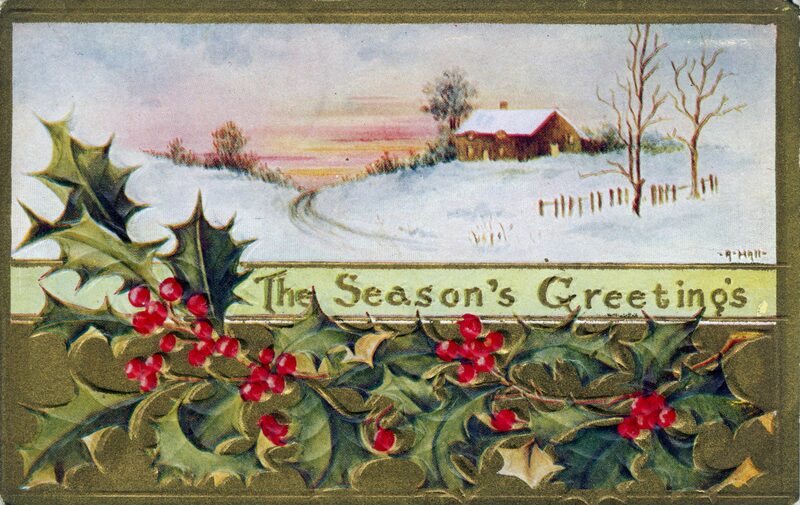 Need more free vintage Christmas illustrations for your greeting cards, gifts, and crafts? Check out the complete Christmas image Library for more free materials and ideas.